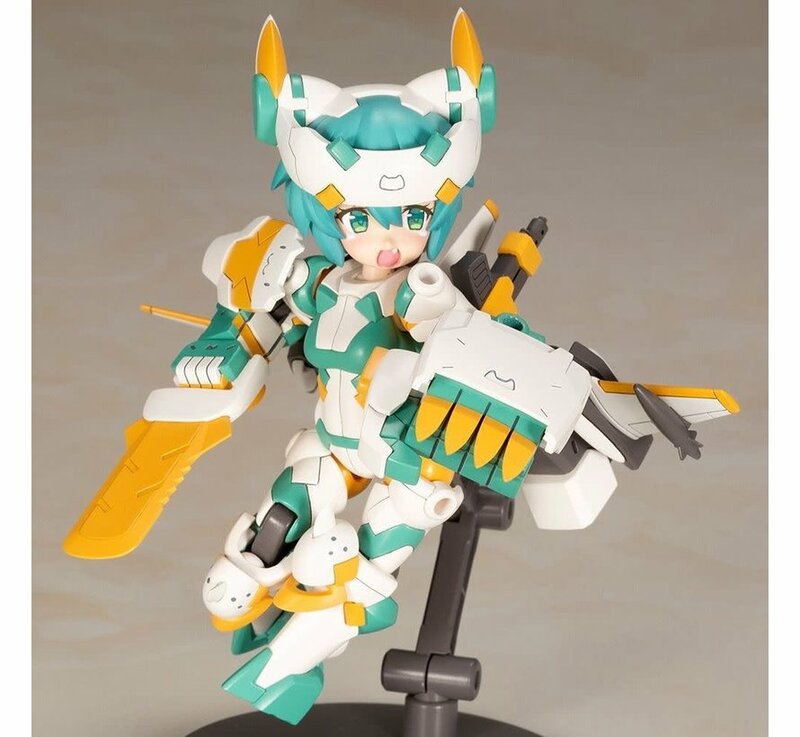 The thigh joints can be moed up and down, giving the model a wide range of movement. 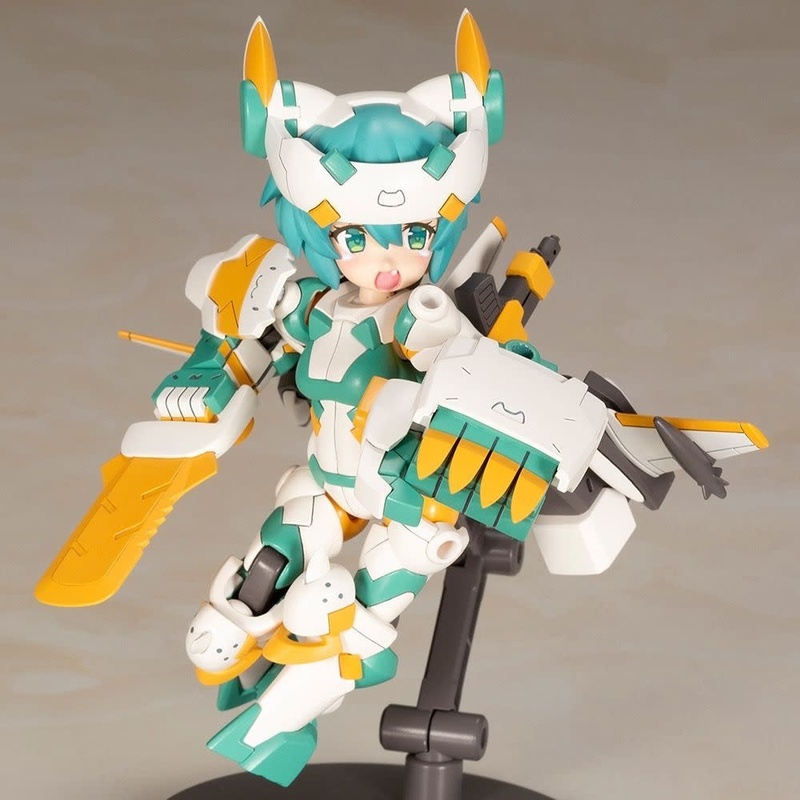 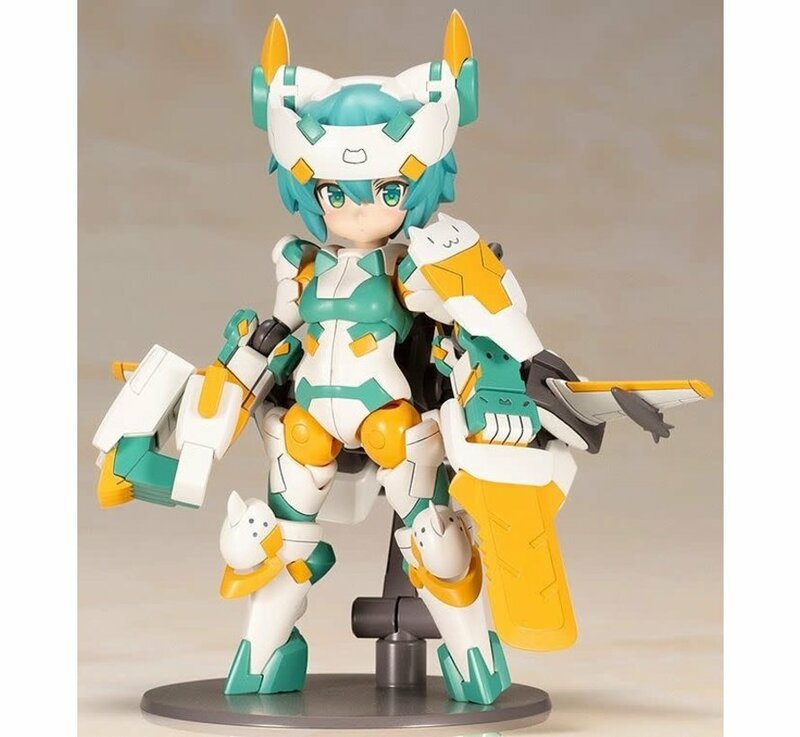 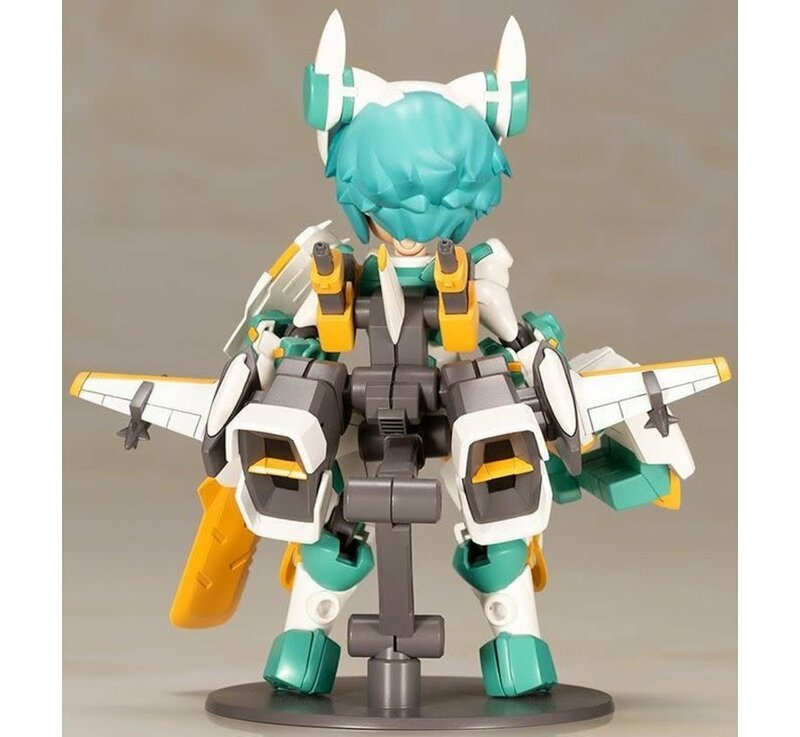 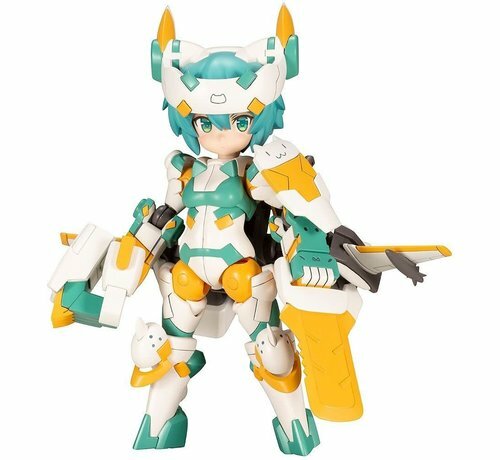 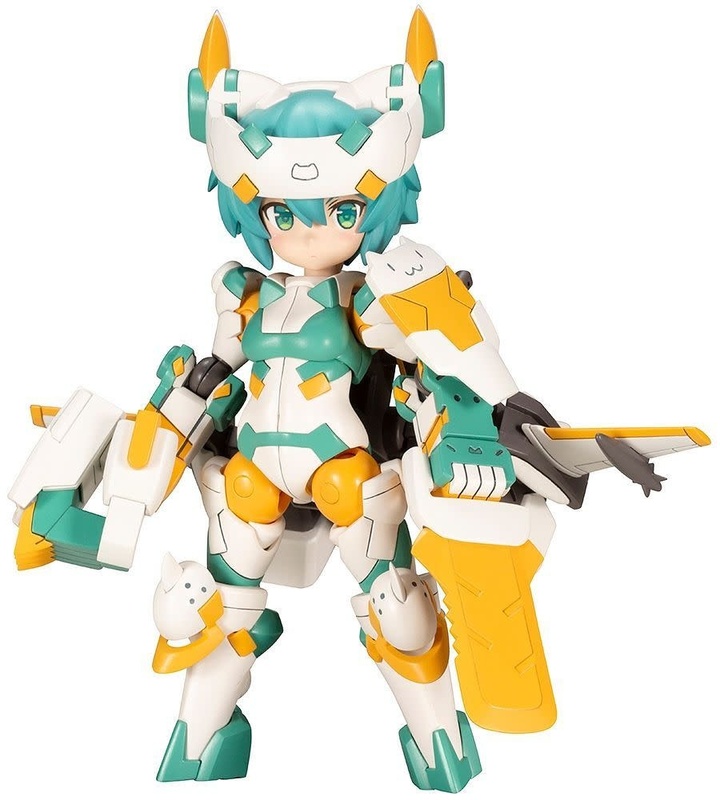 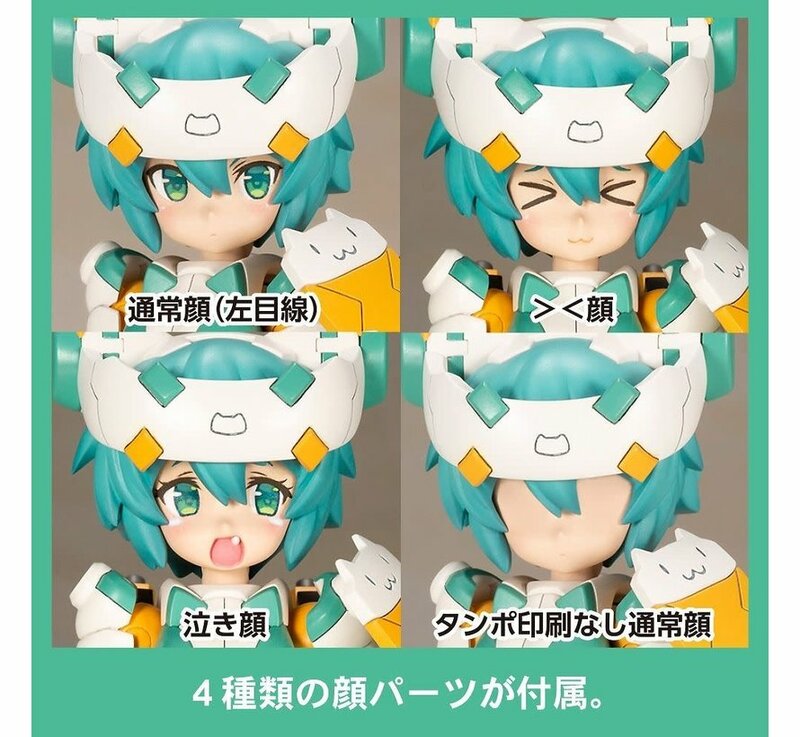 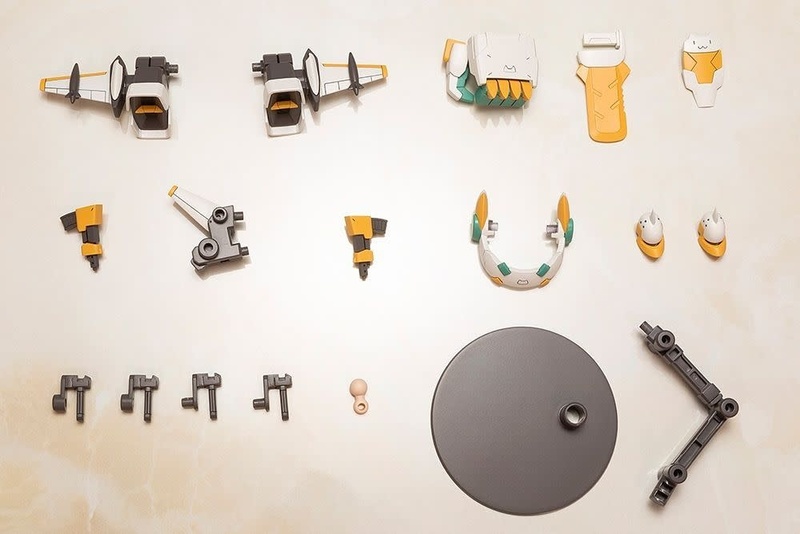 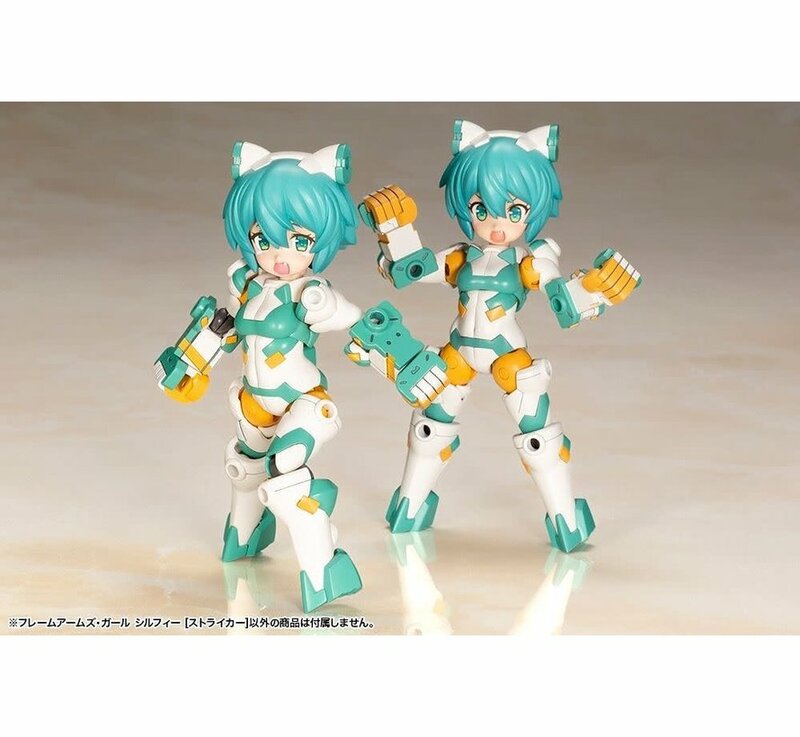 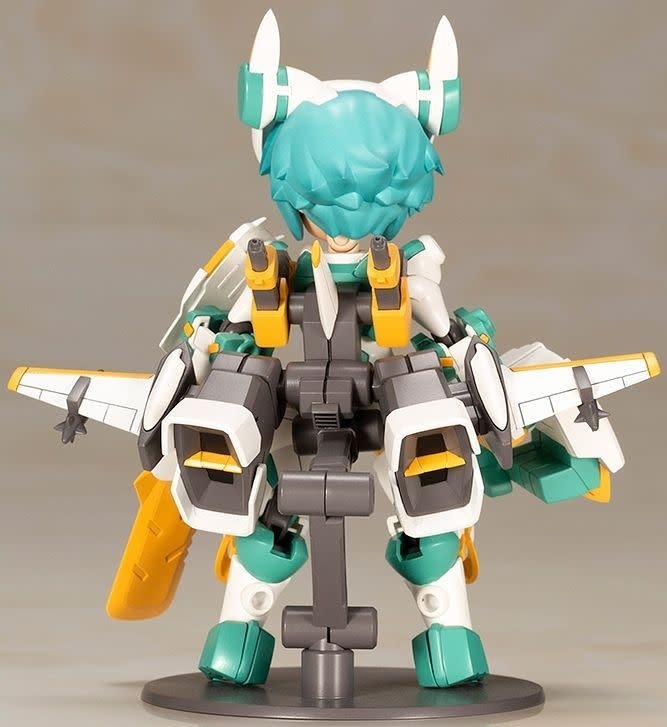 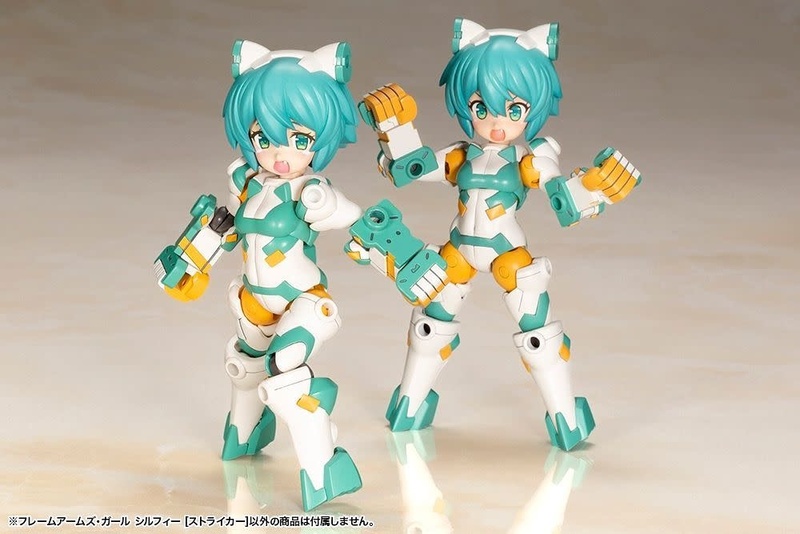 The kit includes three interchangeable tampo printed face part [looking left, >.< , and crying] that are also compatible with other Frame Arms Girls. 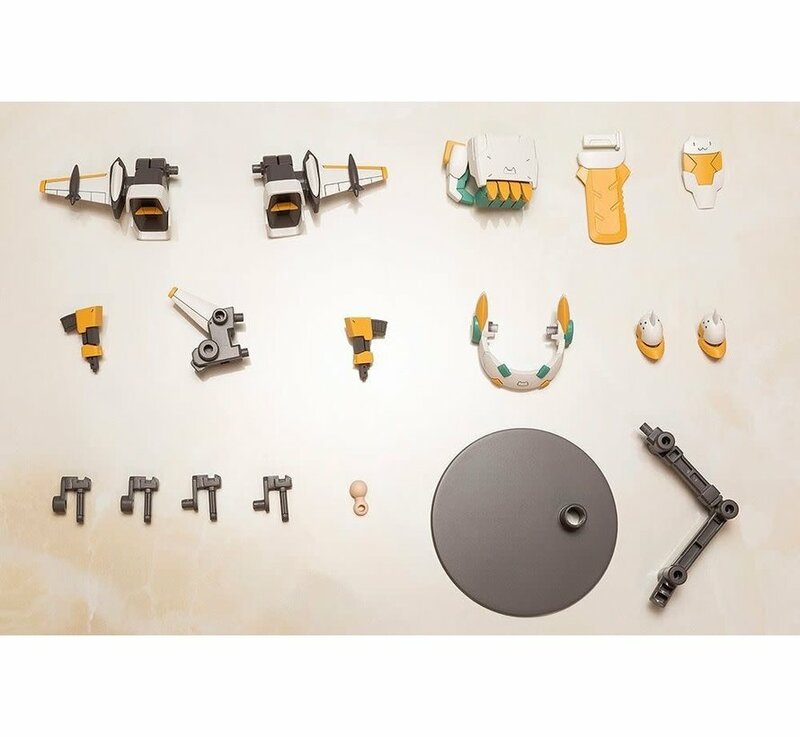 The face parts are pre-painted for easy assembly with no paint required. 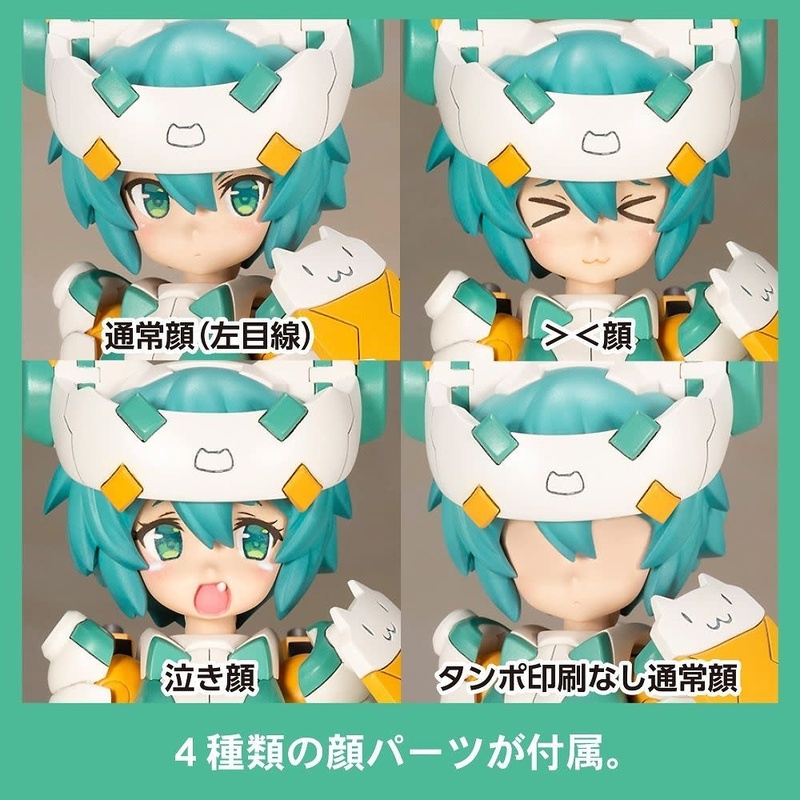 The kit also includes one blank face part. 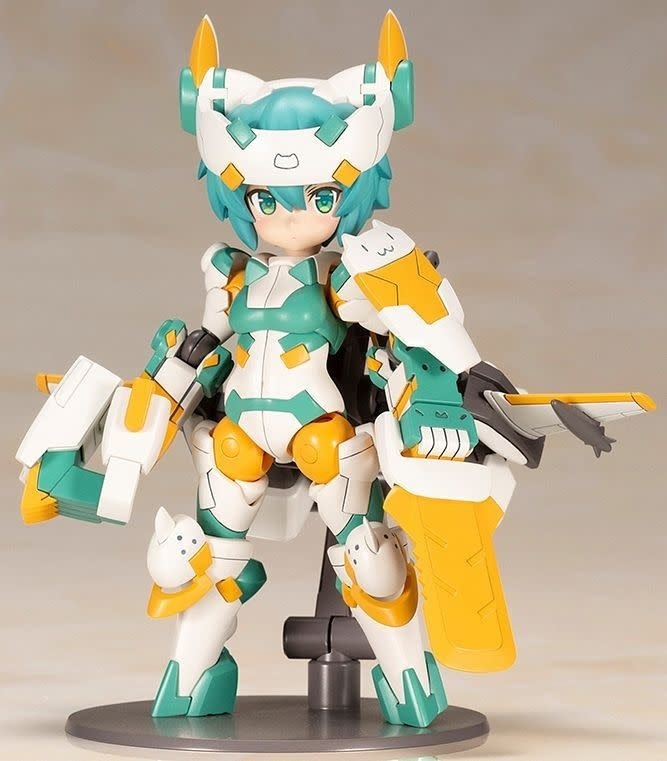 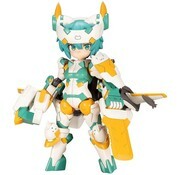 The model comes with a neck joint that is also compatible with head parts from Kotobukiya’s Megami Device line.